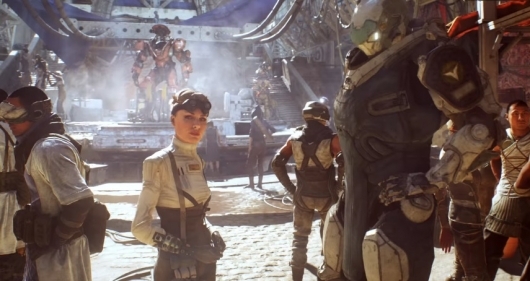 Yesterday we saw a teaser for Anthem, the new game from Mass Effect and Dragon Age developer BioWare. We were promised at the time that a full reveal for the game would be coming during Microsoft’s E3 2017 presentation, and that was indeed the case. 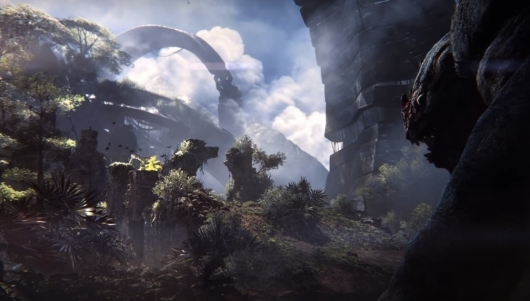 Closing out the showcase, a nearly seven-minute gameplay demo for Anthem was shown. The game basically looks like an amalgamation of games like Titanfall, Destiny, and Dark Void, with a bit of James Cameron’s Avatar universe thrown into the mix for good measure. Read more about the game and watch the gameplay reveal below. A new game titled Anthem was teased during the EA Play event to kick off the E3 2017 festivities. The game is a brand new title from BioWare, the developer of the Mass Effect and Dragon Age series. Interestingly enough, EA decided to only show the brief teaser trailer you can find below. The full reveal of the game will come tomorrow during Microsoft’s E3 presentation.